One of the best ways to ensure your children are playing with the best quality toys are keeping up with the annual toy awards. Buying toys for kids online can be sometimes misleading and stressful because you don’t know what you will get. Toy review blogs are one of the best ways to find out about genuine opinion of the public on toys for children. However, nothing can beat official toy quality judges that can confirm the real value of a play toy. This is our review of best toys that have been awarded titles in 2017 and some that have been nominated and are showing great potential for 2018. These toy awards are one of the best regarded in the kids toy industry. All the toys that get into finals are nominated from within and are selected by academia, media and toy influencers. These awards have been frequently referred to as the Oscars of the toymakers and each year live up to the expectation. What we lovr about this organization is that they also support childrens charities. 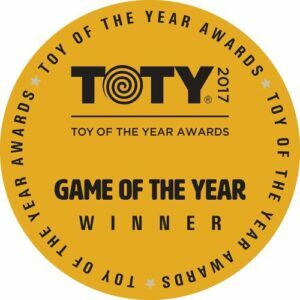 TOTY voting is done through retailers, journalists, bloggers, academics and an online website for the consumers to have their say about children’s toys. Run by Stevanne Auerbach who has a PhD and has been the top expert on play, toys and other children’s products in USA for over 30 years. Within the years of expertise Dr. Toy has written 15 books, news articles and magazine articles on educational, developmental and skill-building kids products. She is truly a knowledgeable woman that includes toys from large and small companies in her annual awards program. This customizable toy is a wonderful gift for any little girl or boy that would love to be conductors of a colorful train and is a finalist for 2018 TOTY Awards. 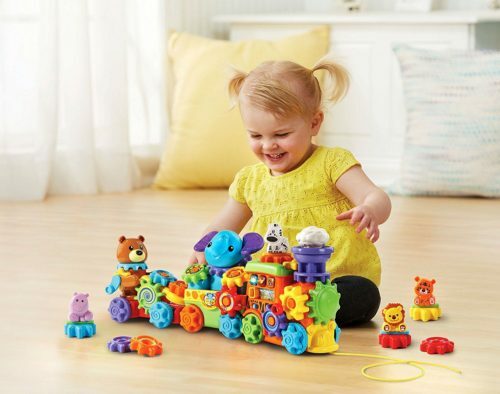 Children are able to create a unique train set by changing 15 gears that are included in the toy box and learn about the animal kingdom through adorable animal toys. This is a very educational toy that will help develop your toddlers motor and problem solving skills. This toy is an all in one combo that includes noises of different musical instruments and child-friendly quiz questions to engage in child speech development. This train set can be pushed by a string around the house which moves and spins the gears for an entertaining effect. We would recommend dedicating a tub or a box for storing all the extra gear pieces and animal figurines as it can easily get lost. It is a wonderful 2017 TOTY award winning toy that comes with a wide variety of accessories and beautiful design for any girl or boy to play with. 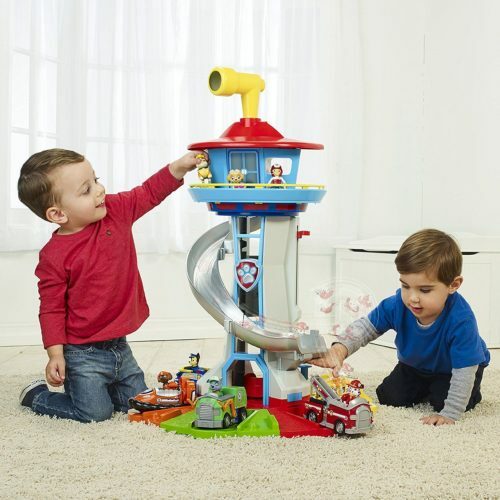 Paw Patrol Lookout is complete with lights, elevator, sounds and a carousel launcher for the full sized vehicles and a big periscope on the roof. This is a completely interactive toy that stands two and a half feet tall making it easy for any child to look through the periscope for danger! This nickelodeon toy lookout tower requires adult assembly as it has to be done very accurately to make the carousel work. A great thing about this Paw Patrol toy is that the structure is very sturdy and the slide is not easy to break at all! 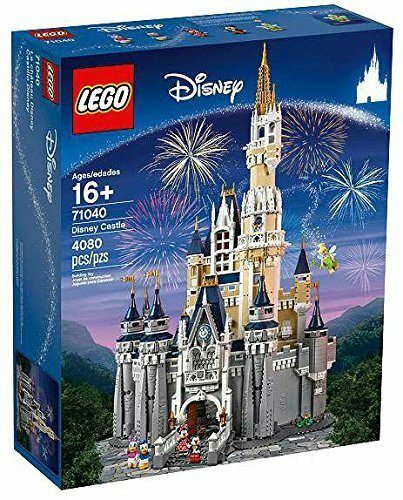 This is a highly detailed Disney inspired LEGO Castle which has more than 4 thousand pieces and is a challenging build but a rewarding play experience for kids. As you can see from the picture the castle replicates the amazing classic Walt Disney World Castle and each room includes special features, inspired by various Disney animated movies. Your little one will be able to play with five mini figurines such as Mickey Mouse, Donald Duck and other well-known characters. Be prepared as this LEGO toy will keep you busy for a few days while assembling it but you can always have a wonderful parent-child time helping each other. As with any building toys we suggest you pick a spot for this castle and try not to relocate it often as you might need to break it into smaller pieces to do so. LEGO Disney themed castle is a 2017 TOTY award winner for Speciality Toy of the Year. What an incredible gift for any little animal lover that would love to work with Disney Junior’s Doc McStuffins. 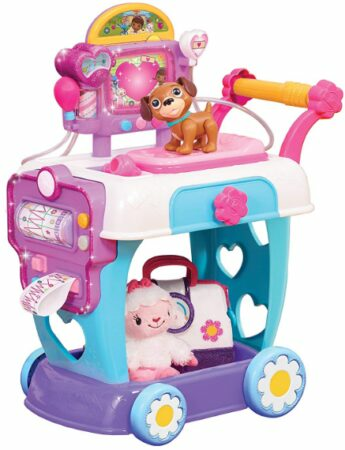 This toy animal care cart has been recognized by TOTY as the best infant/preschool toy of 2017. It is a perfect toy for 3 year olds and comes with authentic accessories such as patient scanner that makes sounds and lights up, Xray card and heart monitor, toy thermometer and otoscope and a beautiful colorful patient bed. We recommend this to any girl or boy that loves playing with animals and would love to open their own toy vet hospital. We have seen kids putting their pets on the cart and giving them a full pretend health checkup. This award wining toy will keep your children entertained for hours and teach them to care for and respect animals. 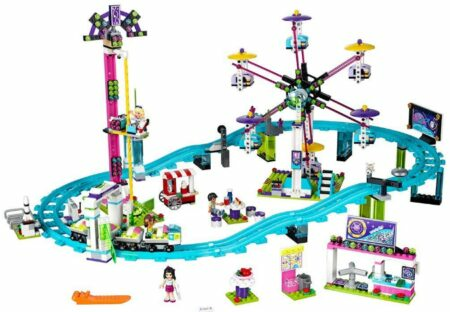 A fantastic award winning LEGO amusement park set for 6 year old children or older. Sets like these are perfect since they take longer to assemble and have moving and light up parts to keep children entertained for years. It is a great addition to any LEGO friends playset and come in gender neutral colors. Your kids will get four mini-doll included in the toy amusement park so that they can start playing and making up creative story lines immediately after assemble. There is nothing better than a beautifully big detailed LEGO toy set like this for children that are very curious and creative. Best thing about this LEGO Amusement Park is that it can fit more than one child if you are looking to get it for siblings. A uniquely designed kids toy with endless interactive play possibilities. Hatchimals are very cute toys for girls and boys that they need to take care of to make sure it hatches! This is such a great educational toy that will teach your child about the way birds are born. These animal toys will live inside their eggs but if you listen closely you will hear their heart beat and your little one will be able to help it peck its way out of the egg shell. This beautiful tech toy can teach kids what it means to be patient and thoughtful as they will need to guide and teach their hatched bird toys how to walk, talk, dance and play games. It s a perfect TOTY Award winning gift for any child over the age of 5 years old. We would highly recommend it for very sensitive and caring children that want to raise two fun companion toys. A truly exceptional 3D printing pen for children starting years old. This 3Doodler is the first 3D printing pen that was designed completely child-friendly. It is completely safe to use for kids as there are no hot parts and all they need to do is pick it up, insert a strand of the colored plastic and start creating. Another great thing about this kids 3D printer is that you can use it either plugged in or wireless for up to one hour. If you have noticed your children being interested in science and always asking questions on how things work then this can be a tactile learning toy that will inspire their creativity, design, planning and building. With just one kit for children you will get 3D pen, 2 mixed-color packs of eco plastic, micro-USB charger and a guide how to use this toy to its full potential! 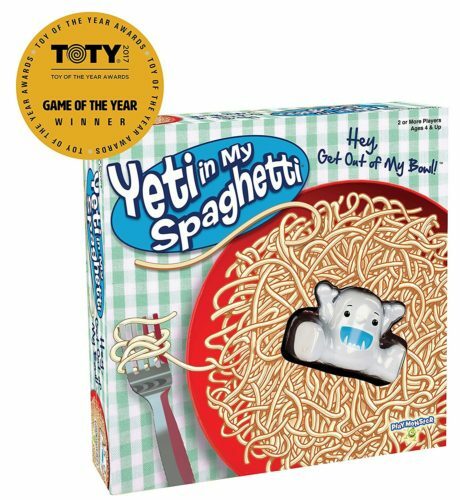 Yeti in My Spaghetti has won the TOTY Game of The Year Award which is the highest award a game can receive. You might think this is the silliest idea for a kids toy but that’s why this toy is so fantastic and one of the best selling toys of the year. The Yeti in My Spaghetti concept is simple – don’t let the Yeti fall into the bowl while it is being held by spaghetti noodles. We love this game because it brings joy to families and friends and takes just a couple of minutes, so you can play It as much as you want and play it quickly whenever you have some free time for fun! This kids game is recommended for children over 4 years old, but we guarantee the whole family will be delighted to join such a carefree and silly activity! A classic girls Barbie fashion doll is always one of the best gift choice for children over 3 years old but we would recommend getting Barbie’s for children around 6 years old because they will have more understanding of the fashion clothing and will be able to give Barbies different hairstyles without cutting all of the hair off! This gorgeous toy set includes 4 fashion dolls that have different looks, personalities and sense of style. You can never go wrong with Barbie as you will get the best quality dolls for little girls or boys that will be able to pass on from generation to generation. Dolls come with accessories such as a pair of sunglasses, headbands and bracelets which will let them mix and match the clothing and accessories to create unique spin on style. 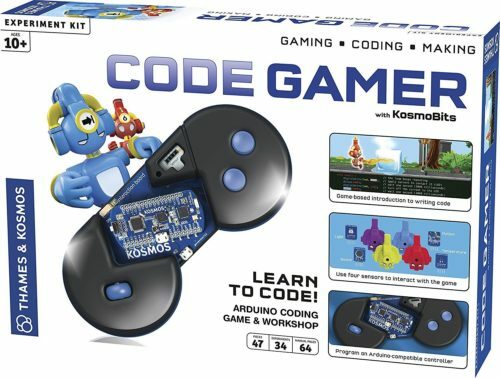 This is a kit that introduces your child to coding and programming via a fun game. Connect this special gamepad to your tablet (iOS or Android) and play through a video game where you have to learn a piece of Arduino programming language to level up and solve puzzles. Don’t worry as this gaming toy includes a fully colored manual for use and assembly of the gamepad. We recommend this TOTY Tech Toy of The Year 2017 to any 10 year old girl or boy that has interest in computers and has lots of desire to learn. It is a very educational toy that requires you to have a phone or tablet with Bluetooth and later move on to a PC. This is an exceptional piece of technology that has been adapted to an amazing toy for kids 9 years old and up and adults. Here is your chance to pilot the X-wing drone and destroy the Death Star by firing 3 infrared bursts before it shoots you down with its own weapon system. Imagine the possible battles your kids can create with this remote controlled Start Wars drone. Included in the Star Wars RC drone set are an integrated heads up display, battle responsive lights and sounds that will help you keep track of the action, gyro-stabilized X-wing drone with a range of 200 feet and a Death Start that automatically hovers and attacks. This is an innovative TOTY Teach of the year winner that will make any childs life so much more exciting! 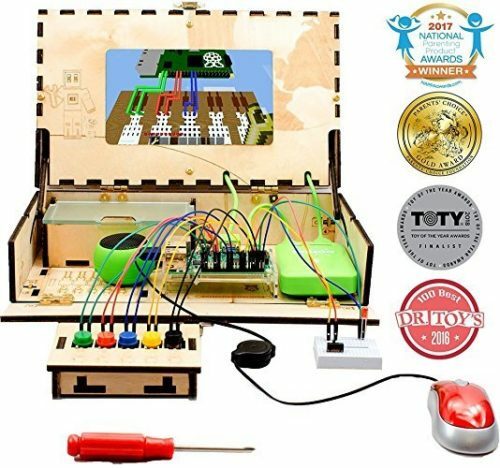 This toy Computer Kit is designed for kids to learn how to build and program a computer and other similar electronic devices. If you think that it is just a DIY computer kit you are wrong because after the fully functional computer is built your child will be able to play educational Raspberry Pi Minecraft game which will teach how to build another electronic smart deice to power up the game. This is such an innovative technology that teaches your child complex engineering and how to build a device following real engineering blueprint. What is incredible about this children’s toy that it has won the Parents Choice Gold Award, is featured on Huffington post, Forbes, Dr.Toy’s blog and has already been listed as a finalist in the TOTY 2018 awards for its innovative design and toy functionality. There are so many hidden secrets that your boy or girl can find out after completing the initial building tasks. We will give you a hint that once you are finished you can call the customer service and you will be instructed how to turn your device into an Alexa! This is truly an amazing toy for any 8 year old child and older that doesn’t enjoy learning but loves building and creating! Yeti in My Spaghetti kids game is the best gift you can get if you are on a budget. This is a fun and easy-to-follow game that is very good to have in the house if your children want quick entertainment or your whole family is visiting and you want to laugh together while playing a silly game! 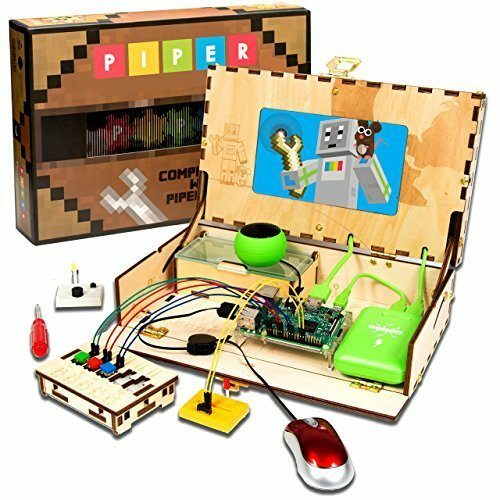 Piper Computer Kit is one of the best presents for a developing teen that is interested in learning an creating. This is more of an investment in your child’s education rather than a toy because they get to learn how to build a computer and then add upgrades and treat it as their project of a lifetime. We have to add that this is the most fun a kid can have while developing a piece of technology and learning STEM subjects. Baby toys are always designed to be easy to grip and bulky so that no small parts can come loose and pose a hazard to the child. The best baby toy will always have a function of skill development and this can be toys with sounds, toys with buttons and toys that have educational integration. It is one of the biggest toymaker challenge to design toys that will be extremely fun for a little one to play with for a long period of time and be able to stimulate creativity and self-development. Toys that have been awarded titles will always be the best choice for a baby gift. Toddlers are usually interested in exploring and becoming more and more curious as they grow. Toys for toddlers require lots of functionality and constant entertainment to keep children attracted to the activity without distractions. 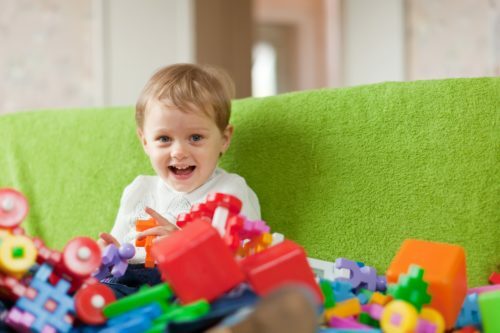 Toys that have gotten awards and are suitable for toddler age are usually something to do with dolls, taking care of dolls or building LEGO sets. As little girls grow older they show interest in nursing toy animals and taking care of dolls while boys play with toy cars and toy building sets. Toddler interests and behavior are always reflected in the award winning toys every year! Kids that are 3 years old are usually allowed to play with most toys according to manufacturers suggestions. When your child is 4 years old it is a good idea to introduce them to more educational games and kits, girls can start playing with fashion dolls like Barbie’s and simple board games. Toy Awards encourage the toymakers to take a creative approach to child development and toys that have been awarded are the best quality toys for toddlers you can get. Kids around 8 years old are usually very interested in group activities and playing outside with friends so it is perfect to get your child board games and fun card games for kids to keep them happy and develop social skills. It is a good idea to start introducing your kids to science kits and technology for them to have new interactive ways to play and be aware of the technology around them. Toys that are of exceptional quality and are a promising educational toy will get awards every year. Our recommendation is to buy your children that are around 9 years old toys which have won awards for Best Educational Toy or Best Interactive Toy. It is a well-known fact that 13 year old children are developing teens and have very distinct personalities and interests. It is very important to communicate with your kids and find out what they like to be able to pick the best toy as a gift or a reward for top performance at school. Having mentioned education, we would suggest buying toys for children that will supplement their studies and hobbies. For example, if your boy loves technology and computers you should get him an award-winning kit to learn how to assemble electronics. VTech is a very well-regarded toy company that specializes in early years toys for toddlers with skill development functions. This toymaker has a dedicated page on their website for their recent awards from esteemed toy and parenting experts and councils. LEGO is the biggest toy company in the world and definitely a leader in all toy awards. LEGO pieces are a fun, creative and engaging way for children to experience playing and learning. What we love about this toy brand is that they never disappoint in making quality product and they are always responsible towards creating safe toys for kids. AirHogs are leaders in remote control vehicles for kids, teens and adults. It is a high tech company that has created amazing, entertaining and award winning products. AirHogs have incredible customer support service as it is not that easy to master rc toys which makes them a trustworthy and highly regarded company.